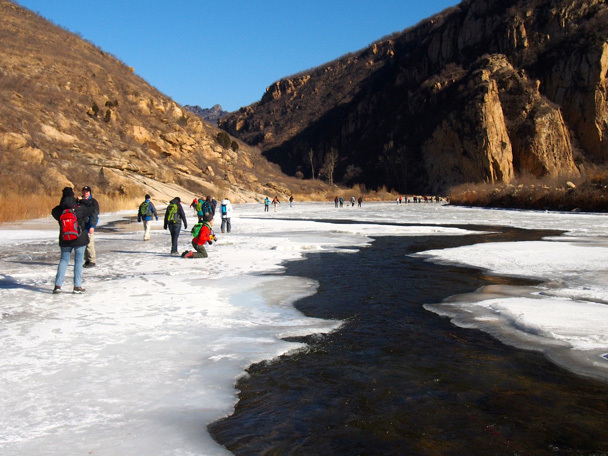 In Brief: Fourteen photos from a specially-arranged hike down the frozen White River. 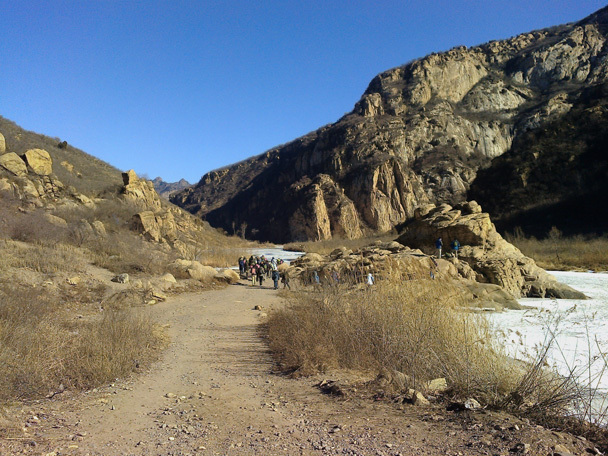 The White River hike is one of our most popular hikes, but we can only do it at certain times in the year. In summer, heavy rain often means the river runs too high to ford. 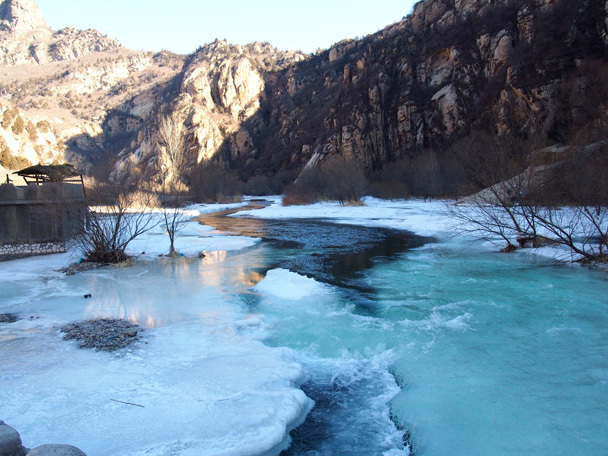 In early spring and late autumn, the water is too cold! 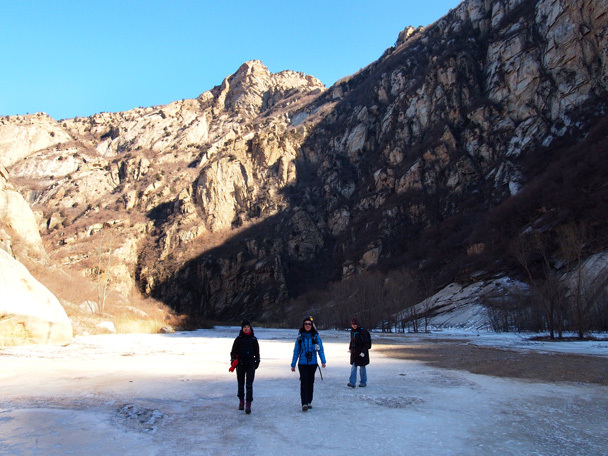 But in the middle of winter, the river freezes over and we can walk down the ice. 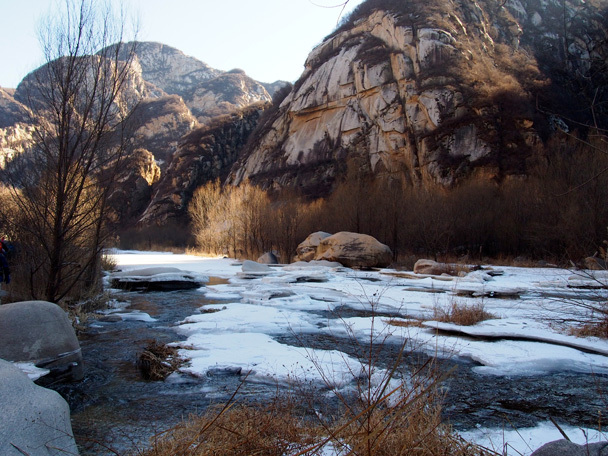 For this privately arranged walk we drove into the mountains of Miyun County, to a small riverside village. Coming on a weekday meant that we were the only hikers in the area. 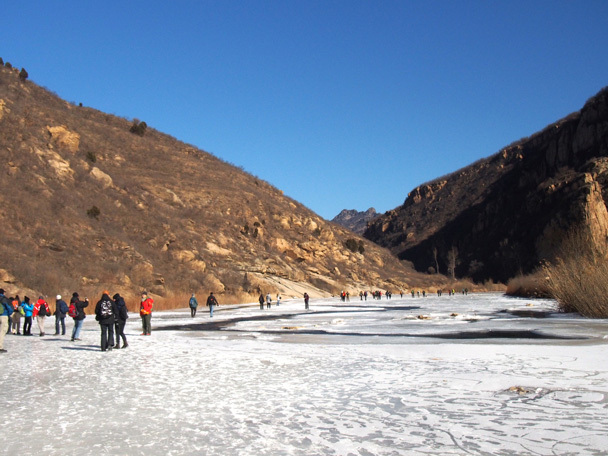 We began our hike passing through the Baihewan ‘White River’ Park, and walked about an hour downstream before we got to the part of the river where the ice had frozen thick enough to walk on. 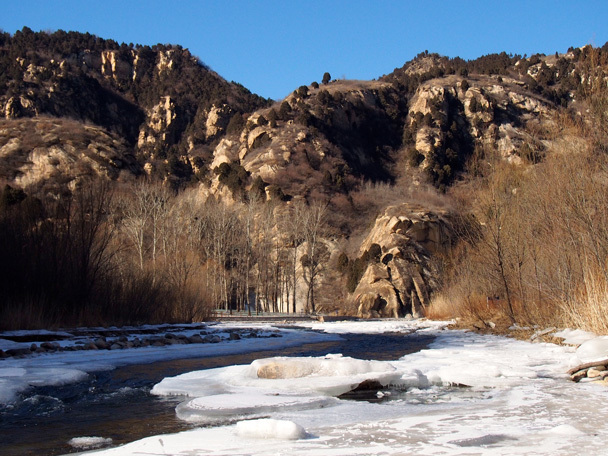 Before we reached that point we’d been following roads and trails alongside the river and over small bridges, seeing the flow of the river in places that were only partially frozen. 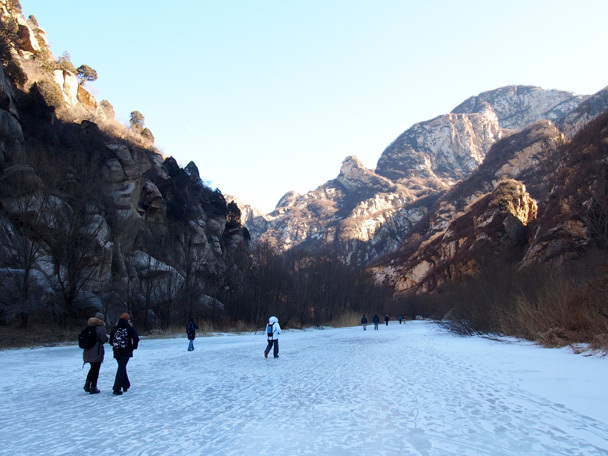 We took a short break before getting on to the frozen sections, allowing everyone the chance to become comfortable with the concept of walking on ice. A few nervous tiptoes later, we had all found our feet and were ready to go. 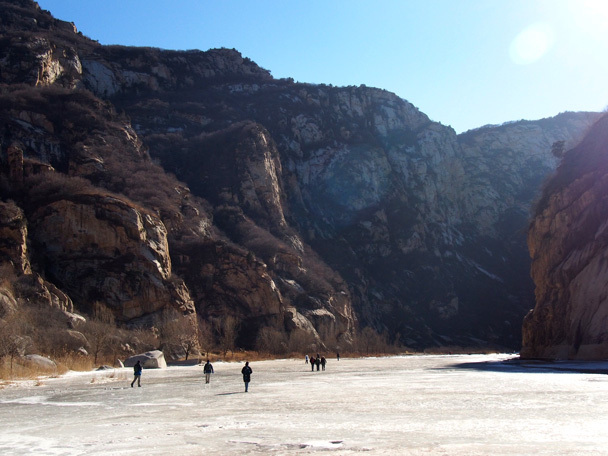 The winding river took us deeper into the canyon, passing next to high cliff faces. We were very lucky to have such a beautiful day, with plenty of the sun reaching us way down on the river surface. Gorgeous weather, and beautiful scenery made for a great day out - take a look at the photos to see what a nice walk it was. 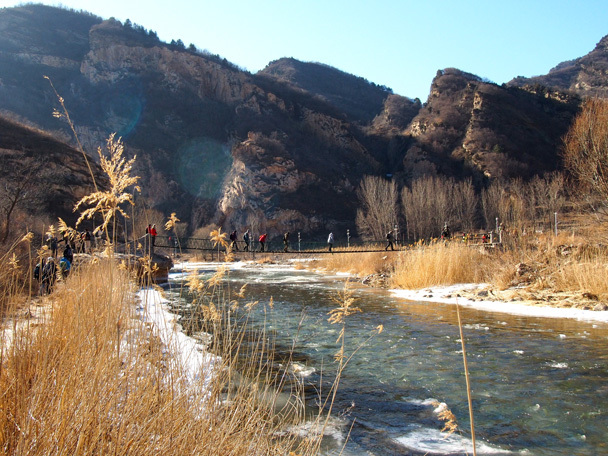 Beautiful views of the country side from Baihewan ‘White River’ Park. Crossing one of three bridges as we make our way to the frozen river. The blue ice looking beautiful and cold, very cold. 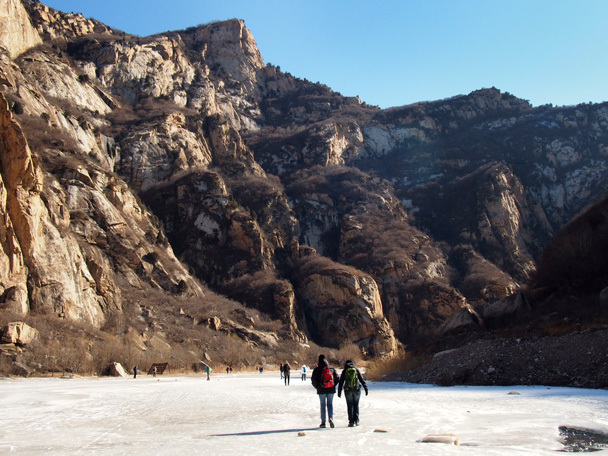 Leaving the park area, we pass magnificent scenery. Up ahead the water has frozen. We are ready to walk on the river! 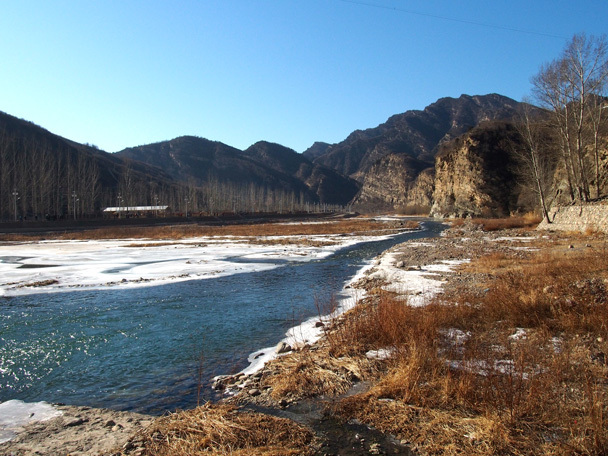 A long stretch of the White River. Flowing water passing beneath the ice, under our feet. With a clear sky the sun provided a beautiful day and some warmth at the bottom of the valley. 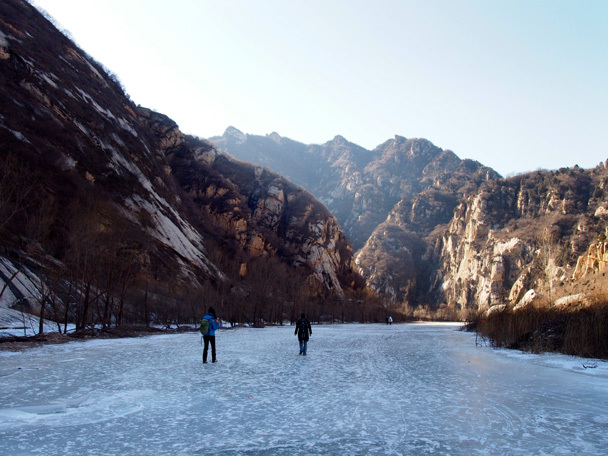 Deeper into the valley, the full width of the White River is completely frozen. 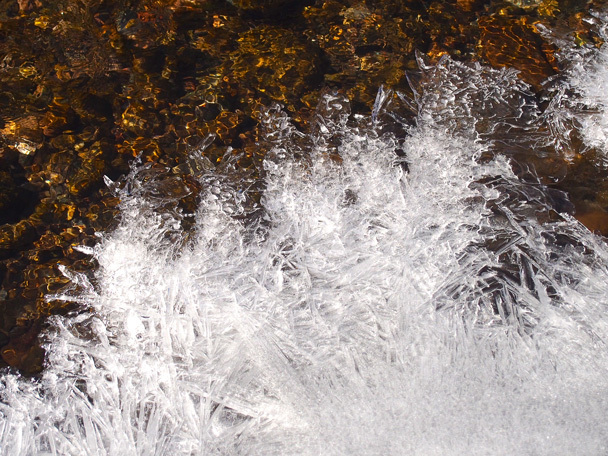 Ice crystals forming on the river surface. White River winding its way through the canyon. Enjoying the hike and the blue sky. Another stretch of the White River as we near the end of our hike.